Just when you thought things couldn’t get any worse in North Carolina politics…the second week of the 2013 General Assembly got underway. Seriously, today marks just the sixth official day of this year’s legislative session, but it already feels as if we’re into the sixth week. “Government by random brainstorm,” “a weird nine-million guinea pig science experiment,” “an all-out frontal assault on the social contract”: Call it what you will, but the last several days have marked some of the strangest and most terrible (both terrible as in “horrific” and terrible as in “extreme” and “serious”) in modern state political history. Lawmakers launch a war on the unemployed –The litany of problems with the unemployment insurance “reform” bill advanced by the state Chamber of Commerce and its water carriers in the General Assembly has been pretty well-documented in recent days so there’s no need to list each item here—especially since to do so would take up the rest of this column. It suffices to say that the bill is, according to national experts, unprecedented in the country. In one of the most brazen and shameless assaults ever witnessed on the state’s jobless—a group that legislative leaders disingenuously profess to be devoted to helping (and that outnumbers the stock of available jobs three-to-one)—members of the House of Representatives passed a bill that will turn away hundreds of millions in federal dollars and slash unemployment benefits and eligibility dramatically. To make matters even worse, legislator after legislator lined up in debate to degrade and blame the unemployed as lazy moochers devoted to gaming the system (all to bring home the munificent average sum of $292 per week). The Senate commences consideration of the bill today. The Senate tries to “nullify” Obamacare –You might have thought that terms like “nullification” and “states’ rights” had gone out of fashion in the United States in the early 1960’s. Unfortunately, this is not the case. A half-century after they last enjoyed widespread use, these terms are now alive and well again in the North Carolina General Assembly. There, in that once honorable place, deadly serious people work overtime trying to figure out new ways to make sure that a half-million low-income people who lack health insurance do not get it—even if it’s paid for in its entirety for the next three years by the federal government—in service of this strange and extreme ideology. As you are now probably aware, the state Senate ignored rational opponents and gave final approval yesterday to a bill that seeks to prohibit the state from participating in the expansion of Medicaid (the national health insurance program for the poor)—something made possible by Obamacare. If enacted into state law, more than 500,000 humans of modest means who lack health coverage and who could get it won’t. The stated reason? To the extent it’s even partially comprehensible, it boils down to this: “We hate the President and the federal government and we don’t want to have anything to do with them.” If you think this is an exaggeration listen to the powerful chairman of the Senate Rules Committee bloviate in this WRAL story (click on the video embedded in the story to hear the comment). A remarkable power grab – As bad as the unemployment and health care bills are, however, it’s quite arguable that yet another measure supplanted both of them yesterday on the early-session list of “horribles.” In a power grab that smacked of the old Soviet bloc or, perhaps, a third rate banana republic, the Senate produced a new bill out of whole cloth that would deal a powerful sucker punch to the notions of fair play, open government and public process. The proposal, which was unveiled and passed through committee in just a matter of minutes, would literally attempt to rewrite history by immediately ending the established composition of numerous important boards and commissions (many of them designed to protect consumers and the environment and consisting of members appointed for long terms) and turning them over to the Governor and/or the General Assembly to be completely remade overnight. 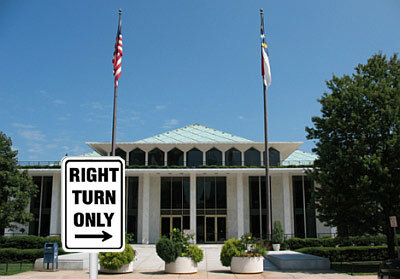 The bill would literally, for instance, end the terms of all members of the state Utilities Commission (all of whom are in the midst of staggered eight-year terms) immediately and invest the power in the governor (a career employee of Duke Energy) to replace them all as soon as the bill is signed into law. The Governor: Tea partier, ineffectual or both? – Many moderate-to-progressive North Carolinians had at least some hopes for Pat McCrory. And, in fairness, it’s still not too late for the former Charlotte Mayor to find his sea legs (and his manhood) and turn his governorship around. But, right now at the one-month mark, the man makes Bev Perdue look like a principled block of granite. And any notion that anyone had that McCrory would serve as a force of moderation and strength and a counter-balance to the increasingly reactionary General Assembly took a severe beating in recent days when the Governor chose for some reason to go on a national right-wing radio show and attack one of North Carolina’s proudest institutions: Its university system. Oh sure, McCrory can claim (as he has tried) that he didn’t really mean what he said and implied about liberal arts education; that some of his best friends are liberal arts grads; that he doesn’t really endorse all of the amazingly venomous bits of claptrap dispensed on an almost daily basis by the Pope Center for Higher Education (a group founded and funded by his Budget Director), etc…. But the man is a professional politician and has been one for years. The notion that he did not grasp the import or implications of his words simply defies logic. On the other hand, if it really is the case that the governor was just mouthing off like some run-of-the-mill radio squawker and utterly failed to grasp how provocative his attacks would be taken, this is perhaps even more disturbing. Whichever the case—ideological extremism or simple incompetence (and judging by the way the General Assembly has strong-armed him in recent days, it might actually be the latter)—neither is a hopeful sign for the months ahead. The items above are far from an exhaustive early-session list. Yesterday, a state lawmaker told a pro-gun rally outside the General Assembly that Americans need semi-automatic weapons in order to repel a federal government coming after them with automatic weapons. This morning, some leading proponents of the unemployment insurance bill (the state Retail Merchants Association) will, with stunning obliviousness, hold a press conference to promote a canned food drive for the hungry. An hour later, another legislator has reserved the legislative auditorium so that a self-appointed denier of climate change and sea-level rise can hold forth. There are and will be many more such disturbing developments. For now, the best and only hope for stopping or slowing this crazy train appears to lies in the realm of loud, persistent and passionate protest. 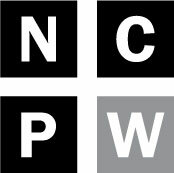 This may be scary or intimidating to a lot of people—especially those who have operated for decades in the comfort zone of North Carolina’s comparatively civil debates—but, for better or worse, protest is now the only option for those who would save our state from the band of pillagers running it. Fortunately, a golden opportunity to protest and organize loudly, safely and effectively will present itself this Saturday in downtown Raleigh at the 7th annual HK on J (Historic Thousands on Jones Street) march and rally. The event starts at 9:30 at the corner of Wilmington and Blount Streets. Spread the word and be there if you possibly can. Click here for all the details. Hope to see you there!